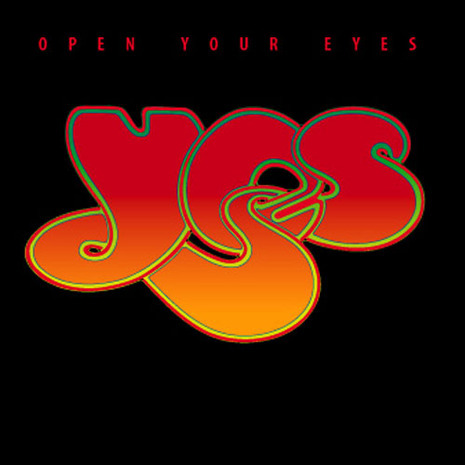 Open Your Eyes is the eighteenth album by progressive rock band Yes and was released in 1997. The follow-up to the twin projects Keys to Ascension and Keys to Ascension 2, Open Your Eyes marked Billy Sherwood becoming an official member of Yes, following Rick Wakeman's departure. Sherwood had previously been involved with Yes as a backup keyboard player and guitarist on the Talk tour, as a potential new lead singer during Yes rehearsals circa 1990 and as engineer and producer for part of the band's Keys To Ascension project. During this period he had formed a strong working relationship with Yes bassist Chris Squire. Open Your Eyes initially began as an outside collaboration between Sherwood and Squire with its material intended for the two men's duo project The Chris Squire Experiment (later to become Conspiracy). Yes singer Jon Anderson was impressed by some of the early Conspiracy material and became interested in singing on it, in part because of the parent band's need for new material to sustain commercial momentum. Consequently Sherwood, Squire, Anderson and White began working on the songs together with the aim of transforming them into Yes songs. Guitarist Steve Howe (at the time, the band's only UK-based member) was not practically involved for most of the process and made his contributions to the album at the end of the sessions (and mainly as a player). By the end of the sessions, Sherwood was formally inducted into Yes - he would play second guitar and sing harmony vocals on tour. Although Sherwood played the bulk of the keyboards on the album, two other keyboard players were brought in to perform the more complex parts. Steve Porcaro played keyboards on the title track and Russian keyboard player Igor Khoroshev performed on "New State of Mind", "No Way We Can Lose" and "Fortune Seller". Khoroshev was hired as the band's keyboard player on the tour promoting Open Your Eyes (on which he also played percussion and sang backing vocals) and would be a full member by 1999's The Ladder (on which he featured far more prominently). The album is notable in the Yes catalogue for cross-referencing other recordings related to the band. Versions of "Open Your Eyes" and "Man In The Moon" later appeared on the eponymous Conspiracy album (which was delayed for two years because material was co-opted for Yes and Sherwood's entry into the band). The song "Somehow, Someday" incorporates the first verse melody and lyrics from the song "Boundaries" on Jon Anderson's 1982 solo album Animation. The cover of Open Your Eyes also references the band's 1969 album debut.